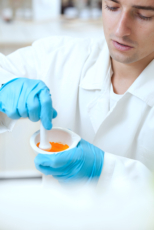 Compounding was the age-old solution to creating customized medication before mass manufacture. It is an art of transforming medication to pure, and consumer-friendly intakes. We operate inside a clean and state of the art laboratory where our pharmacists have been well-trained to specialize on this skill. Guaranteed, our rates meet your pocket, our services quality-effective.